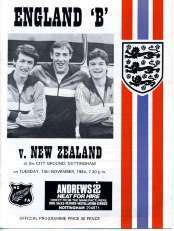 11 v Australia (Friendly) - 2 different covers. 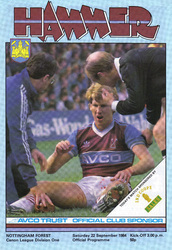 - v All Star XI (Clive Rice Testimonial) - Single sheet. 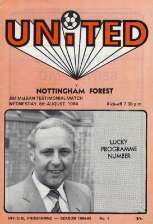 (25) v Luton Town, 12/1/85 – postponed. 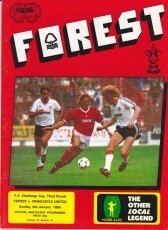 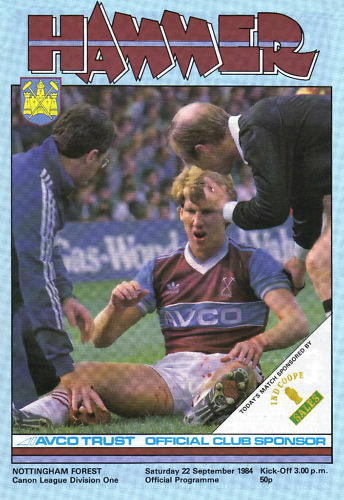 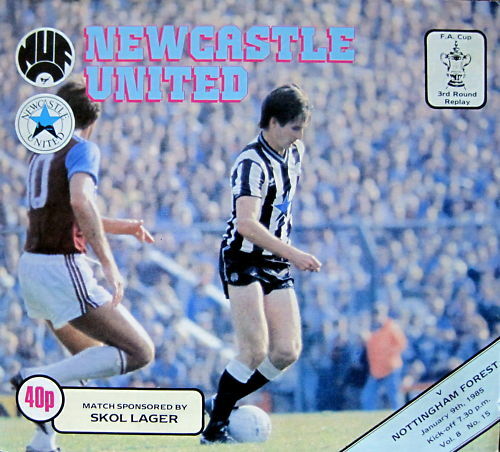 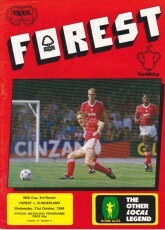 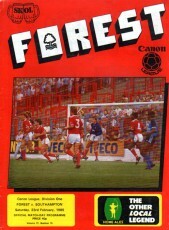 (33) v Luton Town, 24/4/85. 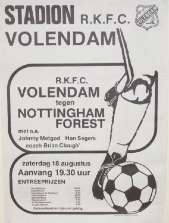 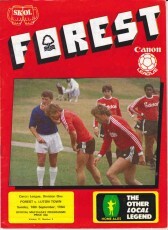 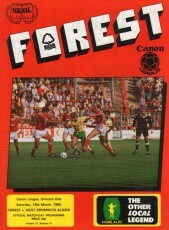 (1) Fredrikstad (Norway) v Nottingham Forest (Pre-season friendly), 5/8/84. 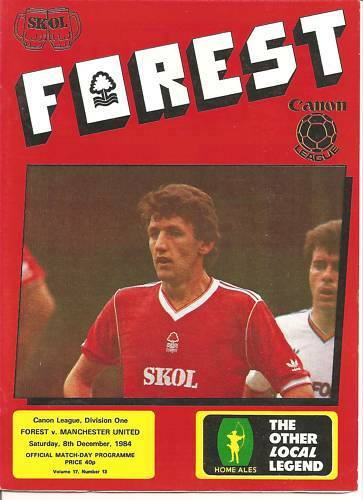 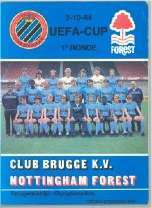 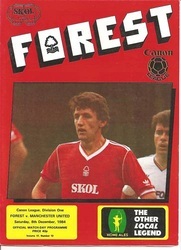 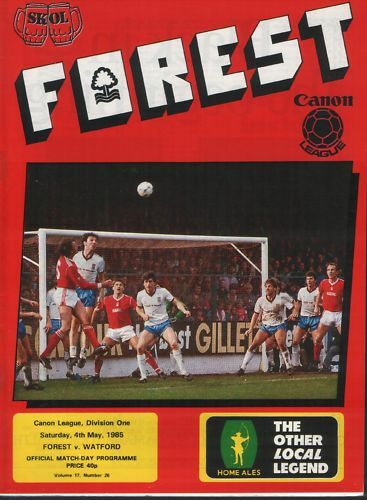 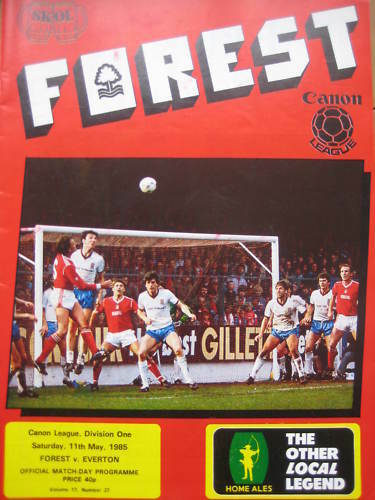 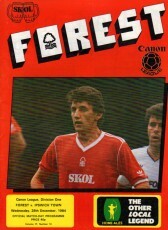 (2) Al Hilal (Saudi Arabia) v Nottingham Forest (Friendly), 10/12/84. 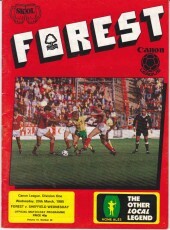 (3) Ittihad (Saudi Arabia) v Nottingham Forest (Friendly), 12/12/84. 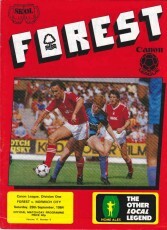 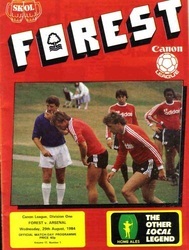 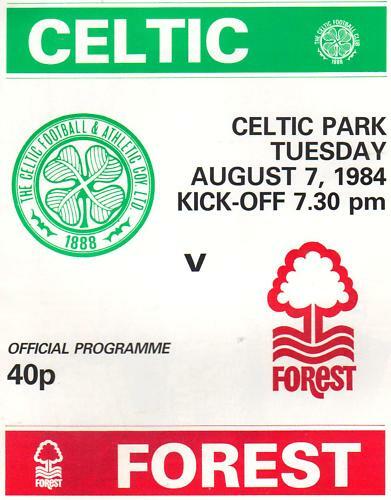 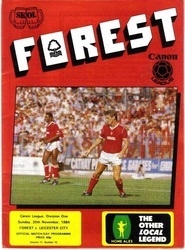 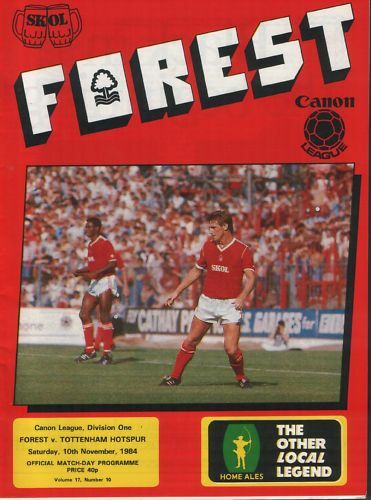 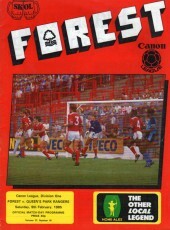 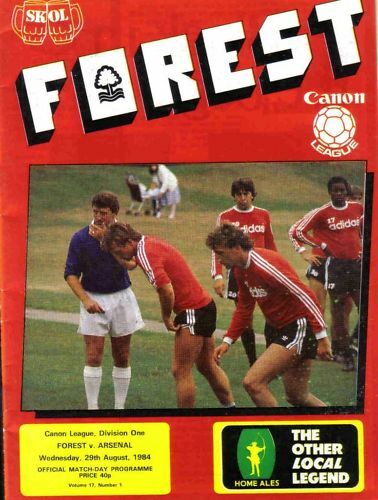 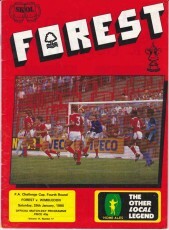 (1) Panathinaikos (Greece) v Nottingham Forest (Pre-season friendly), 22/8/84. 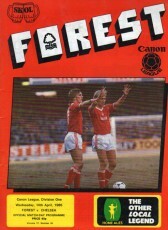 (2) Iraq XI v Nottingham Forest (Friendly), 11/2/85. 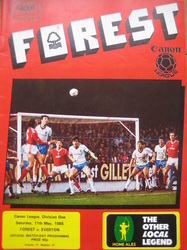 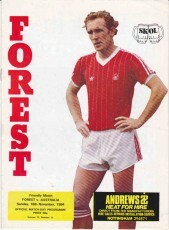 (3) Iraq XI v Nottingham Forest (Friendly), 13/2/85.